Beautiful cultivar with deep pink flowers on dark stems. Well-drained soil in sun, leave undisturbed, and mulch before the winter sets in. On heavy soils dig in plenty of pea single to improve drainage and raise the soil level slightly. In cold gardens (other than city or costal in the British Isles) grow in pots and keep somewhere frost-free for the winter. 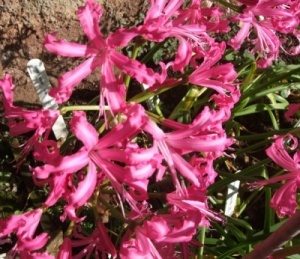 Nerines are great for their dazzling display of funnel-shaped flowers in late summer and autumn. 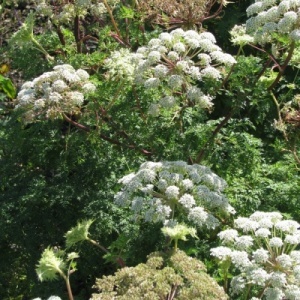 Most commonly the flowers are shades of pink but red and white are also present. They like a sheltered, sunny and well drained spot. You need to keep other plants from swamping them too. Think carefully about where you are going to plant them as they don’t like to be disturbed if you later decide you want to move them. Cultivars of N. bowdenii are generally hardy enough to be left outdoors but some other species need frost protection. N. sarnienses definitely needs frost protection and N. flexuosa can be hardy enough but due to their late flowering period the flowers may be damaged by frost. 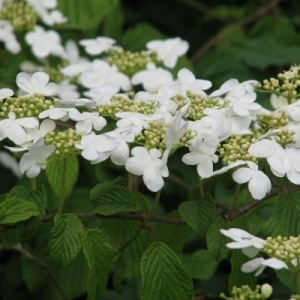 Quite often the leaves appear before the flowers and start to die back as the flowers open this is quite normal. All the goodness goes back into the bulb for next year’s flowers. Plant the bulbs in the Spring with the neck just above the surface. If the soil is a little towards the heavy side plant them on a layer of grit or gravel. Plant more tender varieties in pots and keep in a greenhouse or conservatory during frost-prone periods. 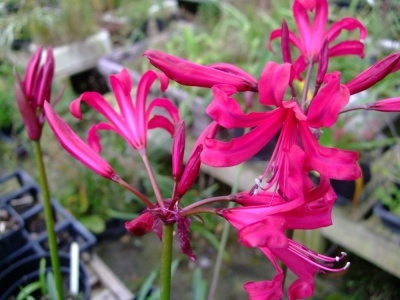 Beautiful cultivar with deep pink flowers on dark stems. Well-drained soil in sun. 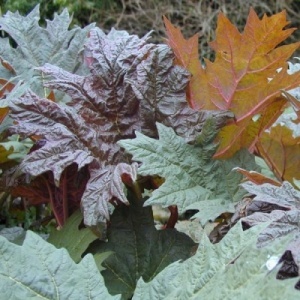 In gardens, other than city or coastal in the British Isles, grow in pots and keep somewhere frost free. 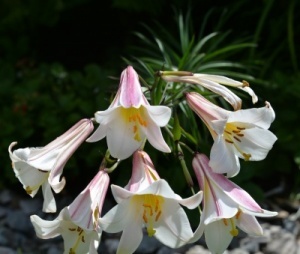 A tall lily with large, heavily scented, white flowers flushed with pink in July. Makes an excellent cut flower. 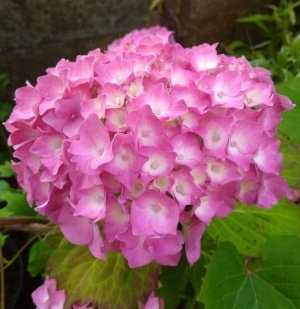 For a sheltered sunny border, or can be grown in pots.